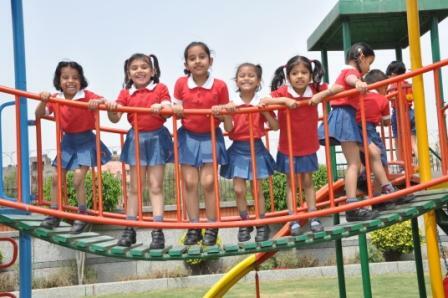 Dwarka International School strictly emphasizes on the moral development of the child. It believes that the supreme end of the educative process should be the training of characters and personality of students in such a way that they will be able to realize their full potentialities and contribute to the well being of the community. It is education which can impart the ability or power of better judgment and build strong characters. Desirable qualities of head, heart and hand are ingrained through our system of education. Students here acquire these qualities not passively or theoretically but by in and through activities. They participate being led by their self- interest and with an eye to the meaning in connection with real life. 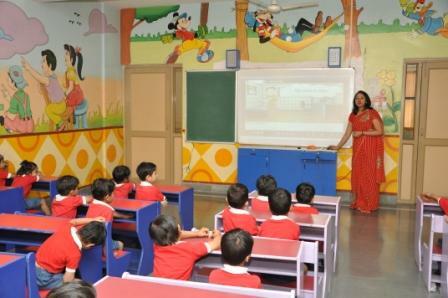 Acquiring life skills is thereby a very essential and integral part of our educational process. Our ultimate concern is not only to cultivate wealth of muscles, fullness of knowledge or refinement of feelings but also the strength and purity of character. Modern education gives emphasis on the immediate needs, interests and experiences of child and considers individual differences. There is the need of establishing effective parent- teacher cooperation. It is the home which lays the foundation and then the school builds up the edifice of the child’s life. 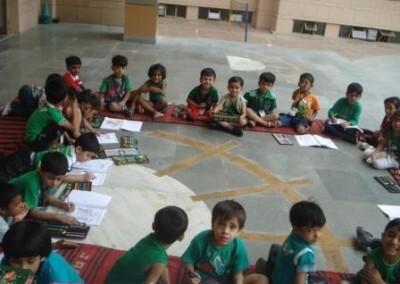 Parent- teacher cooperation is highly encouraged at Dwarka International School. 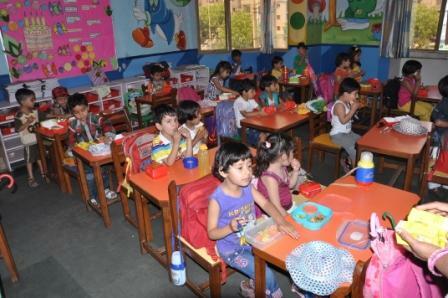 Parents participate in school functions, teaching activities and volunteer on special occasions. In order to make parents more responsible for learning and well being of their child we motivate parents to offer their valuable suggestions and give necessary feedback either through mails or feedback drop box. Professional parents are urged to share their valuable experiences with children as part of our Guest Lecture Series. The social development of a child is thus made possible by securing parental cooperation. We salute our parents for their unstinted support and cooperation. Encourage politeness and good manners. Provide high quality teaching and learning experience to enable all the children to achieve their potential through broad balanced and relevant curriculum. Help all children feel valued and to have respect for other people and the world in which they live. Help all our children to acquire the skills necessary to become effective lifelong learners. 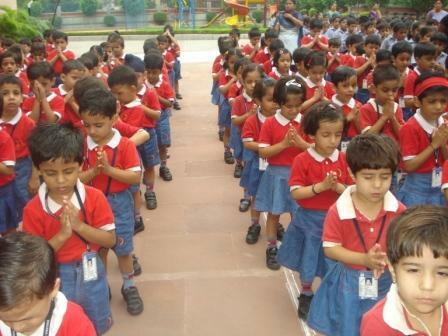 Help all the children to acquire self discipline and achieve good standards of behavior so that they can make a positive and active contribution to the life of the school to become good citizens. Good communication skills will help children to be confident and express thoughts and ideas effectively in speech and in writing. Children are encouraged to read fluently, accurately, write legibly with the sense of enjoyment, good understanding and present their work attractively. Through interactive lessons child’s mathematical understanding develop, this helps in the application of numeracy skills, with speed and accuracy. Children develop an awareness of numbers, counting, shapes, comparison and related mathematical concept. Curiosity, discovery and problem solving help children respect the environment, develop an understanding of their own and other religions, demonstrate respect and tolerance of other people’s race , faith and culture, making them global citizens. Information Technology is made accessible to the children, to take full advantage of the technological aspects, use it as a tool for learning and gaining information. Creativity is one of the fundamentals to successful learning and provides opportunities to explore, express themselves physically, musically and artistically, being imaginative. To improve the skills of co-ordination, control and movement children and expose them to our sporting facilities like taekwondo, skating, lawn tennis, swings and slides, adventure sports and fun races. This encourages them to maintain a healthy life style and work with a positive spirit. These activities are an important part in our curriculum. Children are taught to listen, accompany and appreciate a variety of musical styles and dancing styles. They are encouraged to understand the art of enactment, drama and as their confidence grows new doors open for them to showcase their talent. As a school we work with parents and members of the wider community to achieve our aims through partnership mutual respect and co-operation. 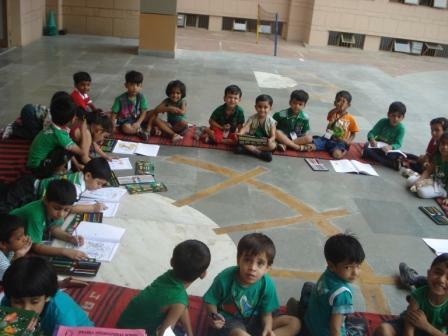 Our Pre Primary incharge is Ms. Ritu Sehgal.